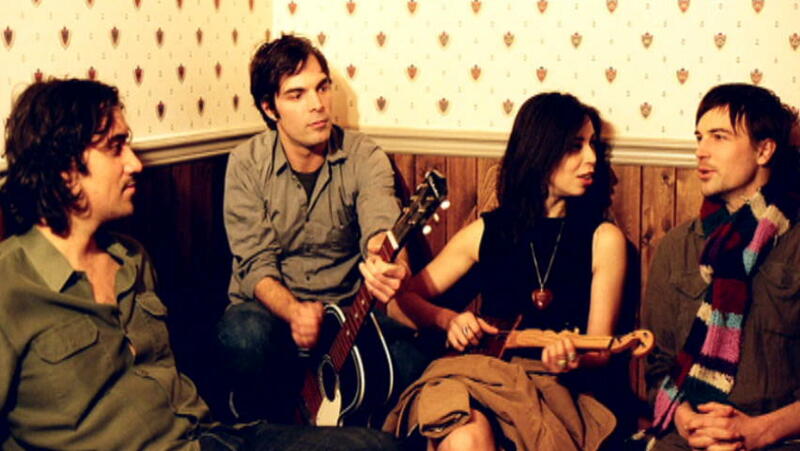 The song I am writing about today is by Montreal, Quebec, folk quartet The Barr Brothers. It's called "Lord, I Just Can't Keep from Crying." I find that title funny because, if you're like me, you won't feel at all like crying when you're done listening to this roaring anthem. You'll feel pure catharsis, blues and rock style, and it will put your blue-jeans-and-sneakers-bedecked self back on the road to feeling ready to tackle life's challenges. It's true the song starts with some whiney notes, like all good blues songs do. But the rock kicks in at 0:29, and the volume cranks up, the dancing begins, and we party onward. Let's give these guys a hand for getting us out of self-pity mode and into our dancing shoes with a song that is edge to edge a whine ballad. I come on the King's Highway, I'm travelin' everyday. Well I just can't keep from cryin' sometimes. My mother, she's in glory, thank God I'm on my way. I'm trusting Him everyday, to bear my burdens away. But the thought as I get older, I think of what I told her. I just can't keep from cryin' sometimes.